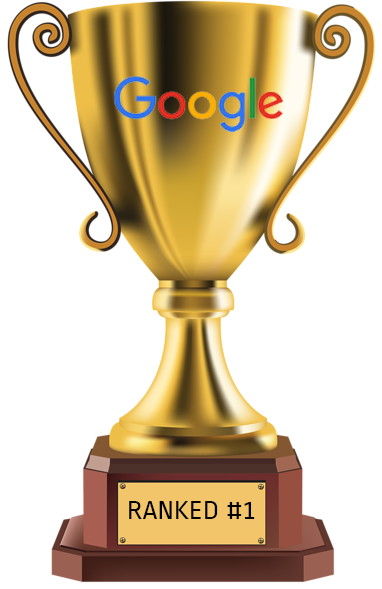 Being Google's #1 can be business changing - if you rank #1 for the right keywords. Making it to page one or two is a great consolation prize. 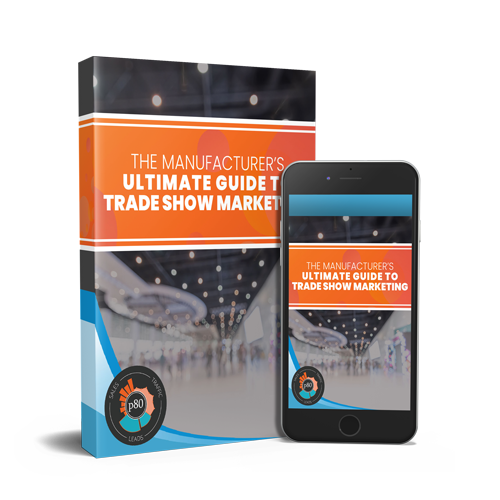 Within the first two pages, you'll still substantially increase your visibility and reach with prospective buyers. Small businesses fail to achieve high rankings due to a number of variables and challenges, including the three listed below. Let's take a look at these common small business SEO challenges, and how to overcome them. 1 - "What keywords should I focus on?" At first blush, selecting your keywords seems pretty straightforward. You think of the products or services that your business provides and use those as keywords, right? Here's an example of poor keyword selection and how to correct it. Obviously, this keyword is too vague. It will drive a lot of low quality traffic to your site. As we all know, traffic does not equal new business opportunities. So, what keywords would work better? With research into competition and the industry, these keywords can be refined further. How many worker's compensation options show up here? None. 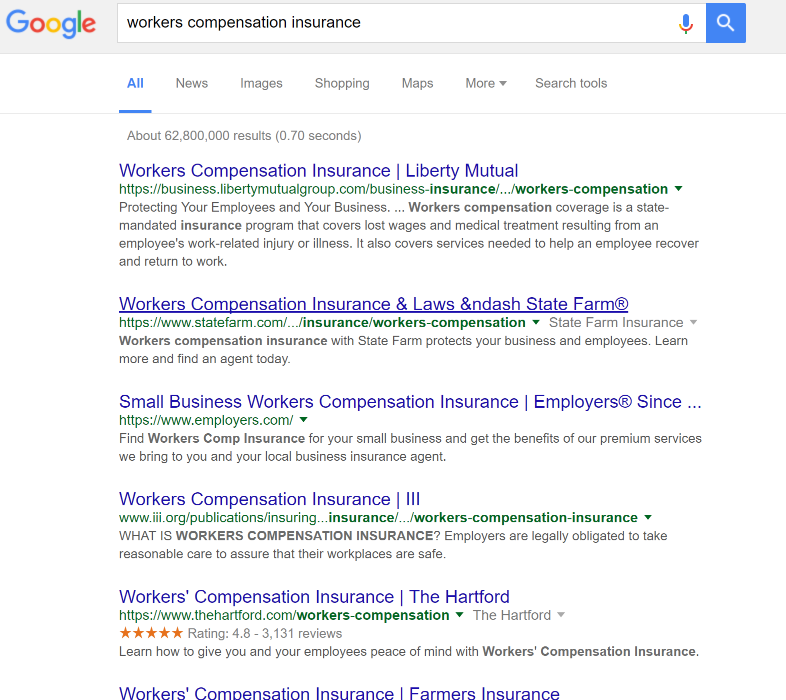 What if we change the query to the more specific "workers compensation insurance provider"? WHOA! Look at all those awesome results! These results are much more relevant to our actual needs (and, as it turns out, more in line with how people search). Broad keywords will drive more traffic, but less quality traffic. More specific keywords won't give you traffic numbers, but they'll give you more leads and sales opportunities. 2 - "I don't have the capacity to manage an optimized SEO strategy." Small business teams are inherently spread thin. Each team member takes on more responsibilities than their job role calls for, for the good of the business. SEO is not a set it and forget it tactic. I hope my message is loud and clear. If you're serious about generating leads and growing your business, SEO is not something you can do in January and forget about until December . SEO optimization must be done on a monthly basis at minimum. Effective SEO needs an associated content marketing strategy, so you should really be working on SEO/content weekly to see results in a reasonable amount of time. 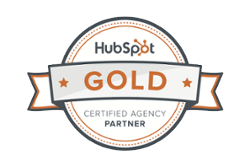 We like seeing our clients get found online and generate great leads. That's why it's very frustrating to see a business take this route. Poor results are inevitable. It's a waste of the business's time - which ultimately means it's a waste of money. SEO requires regular attention and effort to be successful. Small businesses will see better results if they hire someone (in-house or outsourced) with experience. That way, you'll always have eyes on your metrics. 3 - "If I do SEO, my business will grow in no time!" The thought goes like this: "If I can rank #1 for [insert keyword], I'll start taking vacations on my own yacht!" Not so fast, Jordan Belfort. SEO success is awesome, but it's only one component of an effective online growth strategy. Don't get me wrong. Growing your traffic from 300 visitors/month to 1,000 is a big success! The problem is, your goal isn't more traffic. Your goal is more business. Let's say before doing SEO, your website generated 300 visitors per month. 0.5% of those visitors became leads by contacting you or submitting your RFQ form. This means you would generate 1.5 leads per month, or 18 leads/year through your website. Not all of those leads will be qualified sales leads. Some will want something outside of your capabilities. Some will want lower-than-minimum quantities, massive parts that don't fit in your production line, etc. Let's say 60% will be qualified, or about 12 qualified leads/year. Of those 12 leads/year, your sales team is able to close 40% of them into new sales. That means you get about 4.8 new sales/per year from your website. That sounds great, right? Not so much when you consider the average lead conversion rate from Inbound Marketing is 3-5% of traffic. As you can see, just increasing traffic will not produce the results of a full inbound strategy. More traffic is only a small part of the equation. The numbers I used for straight SEO are fairly optimistic as well. It's more common to see small businesses with lead conversion rates in the 0.02%-0.25% range. This means 99%+ of your website traffic is taking no action. Savvy businesses know that traffic is only part of the growth equation. You have to use SEO as one leg of a larger inbound marketing strategy that also focuses on increasing your website's conversion rate. Broad keywords = more traffic, less engagement. 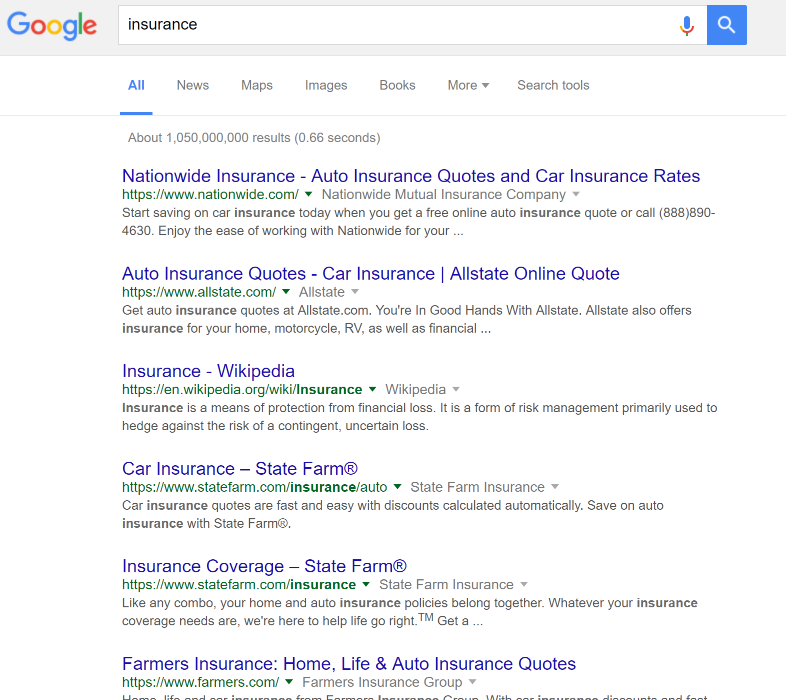 Specific keywords = less traffic, more engagement. SEO requires attentiveness. If you can't give your SEO the attention it deserves, please provide a caretaker. SEO is only one part of an effective online strategy. Want to know how your SEO stacks up? Take a gander with the checklist below.